The Advisory Council on the Welfare Issues of Dog Breeding met for the first time today. The Council is an independent, non-statutory advisory body established to provide advice and guidance to governments and all with responsibility for the welfare of dogs on problems associated with poor standards in dog breeding. 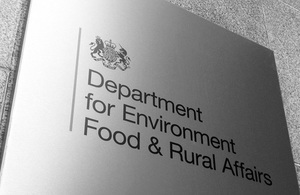 This non-statutory Council was set up with support from Defra and the devolved administrations following recommendations of three recent reports which stated that problems relating to dog breeding were a major concern needing urgent action. The aim of the Council is to address these issues by developing an action plan to combat heath problems caused by inherited disease and exaggerated features. It will also raise public awareness so that greater care is taken in ensuring that puppies bought and sold in this country are healthy and have been reared in an environment where good welfare is paramount.